Methods and systems in a wireless communication network for routing a short message to a local destination are provided. A wireless communication network has a list of predefined short message destinations, receives a short message having a message destination from a wireless mobile communication device, compares the message destination with the list of predefined short message destinations, and if the message destination matches a predefined short message destination of the list of predefined short message destinations, routes the short message to a local destination corresponding to the matching predefined short message destination of the list of predefined short message destinations. 本公开大体涉及通过无线通信网络传送来自移动通信设备的短消息，更特别地涉及在移动通信设备运行于其归属无线网络之外的访问（非归属）无线网络时的紧急类型短消息（即短消息服务或SMS消息）的传送。  The present disclosure generally relates to transmitting short messages from the mobile communications device via a wireless communication network, and more particularly relates to a short message of the emergency type when the mobile communications device is operated outside of its home wireless network access (non-home) wireless network (ie, short message service or SMS messages) transmission. 在现今的通信系统中，移动通信设备用户可经常通过以短消息服务（“SMS”）发送短消息来进行通信。  In today's communication systems, a mobile communication device user can often by a short message service ( "SMS") to send short messages for communication. 当用户发送SMS消息时，该消息通常被路由到用户的归属网络SMS服务中心(“SMS-SC”）。 When a user sends an SMS message, the message is usually routed to the user's home network SMS Service Center ( "SMS-SC"). 譬如，如果用户的归属网络在纽约州(NY)的纽约，则他的SMS消息将被路由到他在纽约州（NY)的纽约的归属网络SMS-SC，即使当他漫游在英格兰的伦敦而且在他的归属网络之外发送SMS短消息时。 For example, if the user's home network in New York (NY) New York, he's SMS messages will be routed to his home network SMS-SC in New York (NY) New York, even when he was roaming in England London and when sending SMS messages outside his home network. 对于大多数应用，将SMS消息传送到用户的归属网络SMS-SC不存在问题，但有特定情况，例如此SMS消息请求紧急援助，则优选的情况将是该SMS消息被发送到当前访问网络中的SMS-SC并且其内容在提供本地紧急援助的实体上发送。 For most applications, the SMS message transmitted to the user's home network SMS-SC no problem, but there are certain situations, for example, the SMS message requesting emergency assistance, it is preferable that the case where the SMS message is sent to the current visited network the SMS-SC and its content sent on an entity providing local emergency assistance. 目前，为了提供本地紧急援助给用户，用户的归属网络中的接收短消息实体（“SME”) 有必要向其中用户需要紧急援助的目前访问的网络中的本地SME提供紧急SMS消息的细节。 Currently, in order to provide local emergency assistance to the user, the user's home network to receive Short Message Entity ( "SME") necessary to provide details of the emergency SMS message to which local SME network users in need of emergency assistance in the current access. 这种机制可能非常复杂和昂贵，也可能引入延迟和无效援助。 This mechanism can be very complicated and expensive and may introduce delays and ineffective assistance. 这里描述由移动通信设备使用用于通过无线通信网络传送紧急类型短消息的方法和装置。  The herein described apparatus for use by a mobile communication apparatus and method for transmitting a short message of the emergency type via wireless communication networks. 在一个说明示例中，与归属消息中心相关联的第一消息中心地址和与紧急消息中心相关的第二消息中心地址存储在所述移动设备的存储器中。 In one illustrative example, the first message center address associated with an emergency message center and a second message center address of the home message center is stored in a memory associated with the mobile device. 该存储器可以是用于该移动设备的可移除存储器模块，例如用户身份模块（SIM)。 The memory may be a removable memory module for the mobile device, such as a subscriber identity module (SIM). 用于传送短消息的用户输入请求通过移动设备的用户接口来接收。 The user input request for communicating a short message is received via a user interface of the mobile device. 如果用户输入请求被识别为用于紧急消息，则从存储器中读取第二消息中心地址，并在短消息的消息中心地址域中提供该第二消息中心地址。 If the user input request is identified as being for an emergency message, the second message center address is read from the memory and providing the second message center address in a message center address field of the short message. 在消息中心地址域中具有第二消息中心地址的短消息而后由移动设备发送到无线网络。 A second short message having a message center address in the message center address field is then transmitted by the mobile device to the wireless network. 该网络识别消息中心地址域中的第二消息中心地址，并作为响应，使短消息被发送到网络本地的紧急消息中心。 The network identification message center address field of the second message center address, and in response, so that the short message is sent to the network's local emergency message center. 以这种方式，当移动设备访问非归属无线网络时，短消息可被路由到适合的本地紧急消息中心。 In this manner, when the mobile device accesses a non-home wireless network, the short message may be routed to the appropriate local emergency message center. 移动设备可通过无线网络的广播信道来接收第二消息中心地址，并与无线网络的无线网络标识相关联地来将它存储。 The mobile device may receive the second message center address over a broadcast channel of the wireless network, wireless network and the wireless network identity association to store it. 在可选技术中，短消息的指示符（譬如传输协议ID)设置用于指示短消息是紧急消息而不是在消息中心地址域中提供第二目的地消息。 In an alternative technique, an indicator (such as transport protocol ID) is provided for indicating the short message the short message is an emergency message instead of providing the second destination message in the message center address field. 图8是移动设备的可视显示器的说明性示例，所述可视显示器显示供发送来自移动设备的紧急类型短消息之用的提示。  FIG 8 is an illustrative example of visual display of the mobile device, the visual display to display a prompt for transmission of a short message of the emergency type from a mobile device. 这里描述由移动通信设备使用用于通过无线通信网络传送紧急类型短消息的方法和装置。  The herein described apparatus for use by a mobile communication apparatus and method for transmitting a short message of the emergency type via wireless communication networks. 在一个说明性示例中，与归属消息中心相关联的第一消息中心地址和与紧急消息中心相关联的第二消息中心地址存储在移动设备的存储器中。 In one illustrative example, the first message center address and the second message center address stored in a home message center associated with the emergency message center in the associated memory of the mobile device. 该存储器可以是用于该移动设备的可移除存储器模块，例如用户身份模块（SIM)。 The memory may be a removable memory module for the mobile device, such as a subscriber identity module (SIM). 用于传送短消息的用户输入请求通过移动设备的用户接口来接收。 The user input request for communicating a short message is received via a user interface of the mobile device. 如果用户输入请求被识别为用于紧急消息，则从存储器中读取第二消息中心地址，并在短消息的消息中心地址域中提供该第二消息中心地址。 If the user input request is identified as being for an emergency message, the second message center address is read from the memory and providing the second message center address in a message center address field of the short message. 在消息中心地址域中具有第二消息中心地址的短消息而后由移动设备发送到无线网络。 A second short message having a message center address in the message center address field is then transmitted by the mobile device to the wireless network. 该网络识别消息中心地址域中的第二消息中心地址，并作为响应，使短消息被发送到网络本地的紧急消息中心。 The network identification message center address field of the second message center address, and in response, so that the short message is sent to the network's local emergency message center. 以这种方式，当移动设备正在访问非归属无线网络时，短消息可被路由到适合的本地紧急消息中心。 In this manner, when the mobile device is visiting a non-home wireless network, the short message may be routed to the appropriate local emergency message center. 移动设备可通过无线网络的广播信道来接收第二消息中心地址， 并与无线网络的无线网络标识相关联地将它存储。 The mobile device may receive the second message center address over a broadcast channel of the wireless network, the wireless network and wireless network identification stored in association with it. 在可选技术中，短消息的指示符（譬如传输协议ID)设置用于指示短消息是紧急消息，而不是在消息中心地址域中提供第二目的消息。 In an alternative technique, an indicator (such as transport protocol ID) is provided for indicating the short message the short message is an emergency message, instead of providing the second destination message in the message center address field. 为了说明基本网络结构，图1显示包括移动通信设备102的通信系统100的框图， 所述移动通信设备102通过无线通信网络104来进行通信。  To illustrate basic network architecture, FIG. 1 shows a block diagram of a mobile communication device 100 of communication system 102, the mobile communications device 102 communicates through a wireless communication network 104. 在优选实施例中，移动通信设备102是移动台，所以这个术语贯穿整个说明书使用。 In a preferred embodiment, the mobile communication device 102 is a mobile station, so the term used throughout the specification. 移动台102优选地包括可视显示器112、键盘114和可能一个或更多个辅助用户接口（UI) 116，其中每个都耦合到控制器106。 Mobile station 102 preferably includes a visual display 112, a keyboard 114 and possibly one or more auxiliary user interfaces (UI) 116, each of which is coupled to the controller 106. 控制器106也耦合到射频（RF)收发机电路108和天线110。 The controller 106 is also coupled to a radio frequency (RF) transceiver circuitry 108 and antenna 110. 在最现代的通信设备中，控制器106被实施为在存储器组件（未示出）中运行操作系统软件的中央处理器（CPU)。  In most modern communication devices, controller 106 is implemented as a memory component (not shown) a central processing unit (CPU) to run the operating system software. 控制器106通常将控制移动台102的总体操作，而一般在RF收发电路108中执行与通信功能相关的信号处理操作。 The controller 106 typically controls the overall operation of the mobile station 102, and is generally performed in the associated RF transceiver circuitry 108 and the communication functions of the signal processing operations. 控制器106与设备显示器112相接口，用于显示所接收信息、所存储信息、用户输入等等。 Controller 106 interfaces with device display 112 to display received information, information, user input, etc. are stored. 可以是电话型数字按键键盘或全字母数字键盘（优选地，全标准英文打字键盘）的键盘114通常提供用于输入数据以存储到移动台102中、输入信息以传送到网络104、输入电话号以发出电话呼叫、输入命令以在移动台102上执行、以及可能输入其他或不同的用户输入。 It may be a telephone-type keypad or full alphanumeric keyboard (preferably a full QWERTY keypad standard English) 114 typically provides a keyboard for entering data for storage in mobile station 102, to input information to the network 104, an input telephone number in a telephone call, enter commands to be executed on mobile station 102, and possibly other or different user inputs input. 作为手持移动式/便携式电子设备，移动台102包括用于容纳和承载一个或更多个可再充电电池132的的电池接口134。  As handheld mobile / portable electronic device, mobile station 102 comprises means for receiving and carrying one or more rechargeable batteries 132. Battery interface 134. 电池132向移动台102中的（即使不是所有也是大多数）电路供电，电池接口134为电池132提供机械和电连接。 Battery 132 to (most if not all) circuitry in mobile station 102, and battery interface 134 provides a mechanical and electrical connection for battery 132. 电池接口134耦合到稳压器136，该稳压器136为所述设备的所有电组件提供稳定电压V。 The battery interface 134 is coupled to a regulator 136, all of the electrical components of the device to provide a stable voltage of the regulator 136 is V.
 移动台102经由天线110通过无线链路发送通信信号到网络104并从网络104接收通信信号。  The mobile station 102 transmits communication signals via an antenna 110 over a wireless link to a network 104 and receives communication signals from network 104. RF收发电路108和天线110执行与基站120和天线塔118的功能类似的功能，包括譬如调制/解调、可能还有编码/解码以及加密/解密。 120 and antenna tower 118 functions similar to the function of RF transceiver circuitry 108 and antenna 110 with the base station, including for example modulation / demodulation and possibly encoding / decoding and encryption / decryption. 对于本领域技术人员，显然，RF收发电路108将适于特定无线网络或移动台102意欲运行于其中的网络。 Skilled in the art, obviously, the RF transceiver circuitry 108 will be adapted to particular wireless network or mobile station 102 which is intended to run on a network. 移动台102使用用户身份模块（SIM) 140进行操作，所述SIM 140在SIM接口142 处连接到或插入移动台102。  The mobile station 102 uses a Subscriber Identity Module (SIM) 140 is operated, the SIM 140 is connected to or inserted in mobile station 102 SIM interface 142. SIM 140是一种传统“智能卡”，所述“智能卡”尤其用于识别移动台102的端用户（或订户）以及个人化该设备。 SIM 140 is a conventional "smart card", a "smart card" used to identify the particular mobile station 102 of the end user (or subscriber) and the personal device. 若没有SIM 140，无线终端就不完全可供通过无线网络104的通信使用。 Without SIM 140, the wireless terminal is not fully available for communication via the wireless network 104. 通过将SIM 140插入无线终端，端用户可以访问他/她所订制的任何和全部服务。 By SIM 140 into the wireless terminal, the end user can access his / her order any and all services. 为了识别用户，SIM 140包含一些用户参数，例如国际移动用户身份（IMSI)。 To identify a subscriber, SIM 140 contains some user parameters such as an International Mobile Subscriber Identity (IMSI). 另外，SIM 140典型由存储在其中、并只有端用户知道的四数字标识码（PIN) 来保护。 In addition, SIM 140 is typically a stored therein, and only the user knows four digital identification code (PIN) to protect the end. 使用SIM 140的优势是端用户不必须由任何单个物理无线设备所绑定。 The advantage of using SIM 140 is that end users are not bound to be of any single physical wireless device. 典型地， 只有将无线终端个人化的元件才是SIM卡。 Typically, the only element of the personal wireless terminal is a SIM card. 所以，用户可使用被装配以使用用户的SIM进行操作的任何无线终端来访问所订制的服务。 Therefore, the user can access subscribed services using any wireless terminal is fitted to the user's SIM operating. 移动台102可由单个单元组成，所述单个单元例如数据通信设备、蜂窝电话、具有数据和语音通信能力的多功能通信设备、支持无线通信的个人数字助理（PDA)、或结合了内部调制解调器的计算机。  Mobile station 102 may be composed of a single unit, the single unit such as a data communication device, a cellular telephone, data and voice communication capabilities having the multiple-function communication devices that support wireless communication of a personal digital assistant (PDA), or a combination of internal computer modem. 可选地，移动台102可以是包括多个单独组件的多模块单元，所述多个单独组件包括但不局限于连接到无线调制解调器的计算机或其他设备。 Alternatively, mobile station 102 may be a plurality of separate components of a multi-module unit, a plurality of separate components including but not limited to a wireless modem connected to a computer or other device. 特别地，譬如， 在图1的移动台框图中，RF收发电路108和天线110可实现为可插入到膝上型计算机上端口的无线调制解调器单元。 In particular, for example, in the mobile station block diagram of FIG. 1, the RF transceiver circuitry 108 and antenna 110 may be implemented as a radio modem unit can be inserted into a port on a laptop computer. 在这种情况下，膝上型计算机可以包括显示器112、键盘114、一个或多个辅助UI 116和实施为计算机CPU的控制器106。 In this case, the laptop computer may include a display 112, keyboard 114, one or more auxiliary UI 116 and implemented as a computer controller CPU 106. 同样可以想到，计算机或一般来说没有无线通信能力的其他设备可适配用于连接到如上述之一的单个单元设备的RF收发电路108和天线110，并有效地采用对如上述之一的单个单元设备的RF收发电路108和天线110的控制。 Also conceivable, computer or other device without wireless communication capabilities generally may be adapted for connection to RF transceiver circuitry 108 as a single unit of one of the above-described apparatus and antenna 110, and effectively employed as one of the above a single RF transceiver circuitry 108 and antenna control unit of the device 110. 在图1中，移动台102通过无线通信网络104进行通信。  In FIG. 1, mobile station 102 communicates through wireless communication network 104. 在图1的实施例中，无线网络104是根据全球移动通信系统（GSM)和通用分组无线服务（GPRS)技术来运行的网络。 In the embodiment of FIG. 1, wireless network 104 is a Global System for Mobile (GSM) and General Packet Radio Service (GPRS) technology to run the network. 无线网络104包括具有相关天线塔118的基站120、移动交换中心（MSC) 122、归属位置寄存器（HLR) 150、服务通用分组无线服务（GPRS)支持节点（SGSN) 126和网关GPRS支持节点（GGSN) 128。 Wireless network 104 includes a base station associated antenna tower 118 through 120, a mobile switching center (MSC) 122, a Home Location Register (HLR) 150, a Serving General Packet Radio Service (GPRS) Support Node (SGSN) 126 and a gateway GPRS support node (GGSN ) 128. MSC 122耦合到基站120并耦合到电话网，例如陆上通讯电缆网络124(譬如，公共开关电话网络或PSTN)。 MSC 122 couples to base stations 120 and coupled to a telephone network, e.g. landline network 124 (for example, Public Switched Telephone Network, or PSTN). SGSN 1¾耦合到基站120和GGSN 128，所述GGSN 1¾耦合到公共或专用数据网络130(例如互联网）。 SGSN 1¾ couples to base stations 120 and GGSN 128, the GGSN 1¾ coupled to a public or private data network 130 (e.g. the Internet). HLR 150耦合到MSC 122,SGSN 1¾和GGSN 128。 HLR 150 is coupled to MSC 122, SGSN 1¾ and GGSN 128. 包括其相关控制器和天线塔118的基站120为一般称为“小区”的特定覆盖区域提供无线网络覆盖。  including its associated controller and antenna tower 118, base station 120 is generally referred to as a "cell" of a particular coverage area wireless network coverage. 基站120通过天线塔118发送通信信号到其小区内的移动台，并从其小区内的移动台接收通信信号。 The base station 120 by transmitting a communication signal to the antenna tower 118 mobile stations within its cell, and receives communication signals from mobile stations within the cell. 基站120通常在其控制器的控制下根据特定的、通常预先确定的通信协议和参数来实现对将要发送到移动台的信号进行调制、可能编码和/或加密的功能。 The base station 120 is typically under control of its controller, implemented according to a particular, usually predetermined communication protocols and parameters to the mobile station a signal to be transmitted to the modulating possible coding and / or encryption functions. 基站120类似地解调、可能解码并解密（如果必要）从其小区内的移动台102接收的任何通信信号。 Base station 120 similarly demodulates, decodes and decrypts possible (if necessary), any communication signals received from mobile station 102 within the cell. 通信协议和参数可在不同网络之间变化。 Communication protocols and parameters may vary between different networks. 譬如，一个网络可使用不同解调方案并在不同于其他网络的频率处运行。 For example, a network may use a different demodulation scheme and operate at different frequencies than other networks. 图1的通信系统100中所示的无线链路表示一个或更多个不同的信道、典型地不同的射频（RF)信道以及用于无线网络104与移动台102之间的相关协议。 Wireless link shown in communication system 100  Figure 1 represents the correlation between a protocol or more different channels, typically different radio frequency (RF) channel and a wireless network 104 and mobile station 102 . 典型地，由于移动台102的总带宽和有限电池功率的限制，RF信道是必须保留的有限资源。 Typically, due to limitations of the mobile station 102 overall bandwidth and limited battery power, the RF channel is a limited resource that must be retained. 本领域技术人员将认识到：实际的无线网络可包括上百个小区，每个由不同的基站120和收发机提供服务，这取决于网络覆盖的期望总扩张。 Those skilled in the art will recognize that: actual wireless network may comprise hundreds of cells, each served by a distinct base station 120 and transceiver, depending upon desired overall network coverage expansion. 所有基站控制器和基站都可由多个开关和路由器(未示出）连接，所述开关和路由器由多个网络控制器所控制。 All base station controllers and base stations may be connected by multiple switches and routers (not shown), the switch and the router is controlled by multiple network controllers. 对于向网络运营商登记的所有移动台102，永久数据（如移动台102用户的简档） 以及临时数据（如移动台102的当前位置）存储在HLR150中。  For the registration of all mobile network operator station 102, permanent data (such as mobile station 102 user's profile) as well as temporary data (such as mobile station's 102 current location) are stored in the HLR150. 在对移动台102的语音呼叫的情况下，查询HLR 150以确定移动台102的当前位置。 In the case where the voice call mobile station 102, HLR 150 the query to determine the current location of the mobile station 102. MSC 122的访问位置寄存器（VLR) 负责一组位置区域，并存储当前在其负责区域中的这些移动台的数据。 MSC 122 visitor location register (VLR) responsible for a group of location areas and stores the data of those mobile stations currently in its area of ​​responsibility. 这包括已经从HLR 150发送到VLR用于更快速访问的永久移动台数据部分。 This has been transmitted from HLR 150 comprises a VLR to the permanent mobile station data for faster access portion. 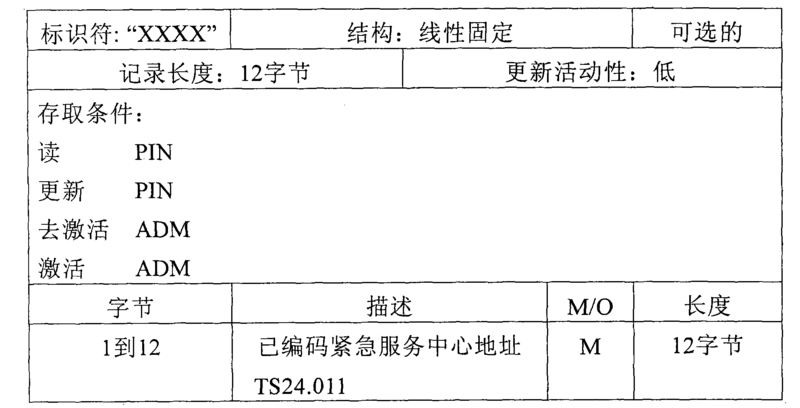 然而，MSC 122的VLR也可分配并存储本地数据，例如临时标识。 However, MSC 122 and the VLR may be assigned a local data store, such as temporary identifications. 可选地，可增强MSC 122的VLR，以便GPRS和非GPRS服务和功能的更有效协调（譬如，针对可通过SGSN 1¾更有效执行的电路交换的呼叫的寻呼，和组合的GPRS与非GPRS位置更新）。 Alternatively, the enhanced MSC VLR 122, in order to more effectively GPRS and non-GPRS services and coordination functions (for example, a paging call for a circuit can be more efficiently performed by the SGSN 1¾ exchange, and combinations of GPRS and non-GPRS location update). 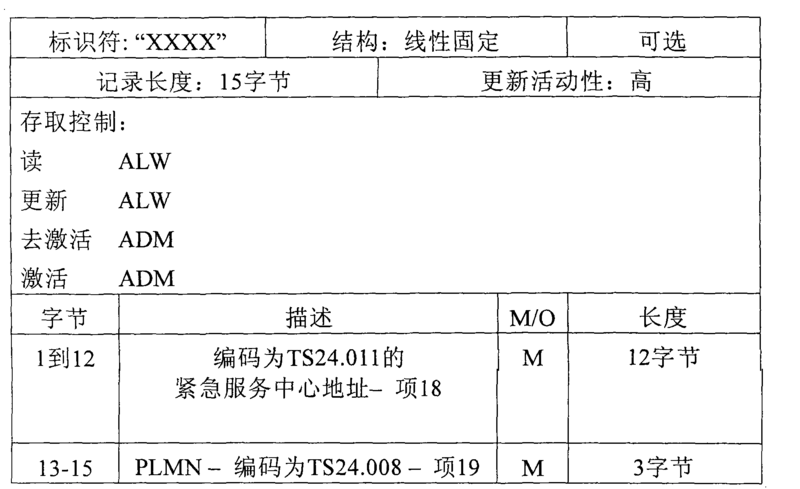 MSC 122也耦合到短消息服务-服务中心（SMS-SC) 154，所述SMS-SC 154是用于短消息服务（SMS)消息传送的消息中心。  MSC 122 is also coupled to a short message service - service center (SMS-SC) 154, the SMS-SC 154 is a message center for short message service (SMS) messaging. SMS利用作为用于中继短消息的存储并转发系统的SMS-SC 154。 Using SMS as a storage for relaying short messages and forward system SMS-SC 154. 消息存储在网络中，直到目的设备变得可用，所以端用户可在任何时候接收或发送SMS消息，不论语音呼叫是否正在进行中。 Message stored in the network until the destination device becomes available, so an end user may receive or send SMS messages at any time, whether a voice call is in progress. 作为GPRS网络的一部分，服务GPRS支持节点（SGSN) 126与MSC122在同一等级，并跟踪移动台的各个位置。  As part of the GPRS network, Serving GPRS Support Node (SGSN) 126 in the same class and MSC122, and track individual locations of mobile stations. SGSN 1¾还执行安全功能和访问控制。 SGSN 1¾ also performs security functions and access control. 网关GPRS支持节点（GGSN) 128提供与外部分组交换网络的互相配合，并通过基于IP的GPRS骨干网来与SGSN(例如SGSN126)相连接。 Gateway GPRS Support Node (GGSN) 128 provides interworking with external packet switched networks, IP is the GPRS backbone network and is connected to the SGSN (e.g. SGSN 126) via the basis. SGSN 1¾基于与现有GSM中相同的算法、密钥和标准来执行认证和密码设置过程。 SGSN 1¾ performs authentication and cipher setting procedures based on the same in the conventional GSM algorithms, keys, and criteria. 在传统操作中，可由移动台102自主地执行小区选择，或由指示移动台102的基站120自主地执行小区选择以选择特定小区。 In conventional operation, autonomously by the mobile station 102 performs cell selection, the base station or the mobile station 102 indicated by 120 autonomously performs cell selection to select a particular cell. 当移动台102重新选择被称为路由区域的另一个小区或另一组小区时，移动台102通知无线网络104。 When the mobile station 102 reselects another cell or group of cells is referred to another routing area, the mobile station 102 notifies the wireless network 104. 为了访问GPRS服务，移动台102首先通过执行被称为GPRS “附着”的操作使无线网络104知道它的存在。 Operation  In order to access GPRS services, mobile station 102 by performing the first called GPRS "attach" to the wireless network 104 so that its presence known. 此操作在移动台102与SGSNU6之间建立了逻辑链路，并使移动台102可用于接收譬如经由SGSN的寻呼、引入的GPRS数据的通知或经由GPRS的SMS消息。 This operation between the mobile station 102 to establish a logical link with SGSNU6, and the mobile station 102 available to receive such paging via SGSN, notifications of incoming GPRS data, or SMS messages via GPRS. 为了发送和接收GPRS数据，移动台102协助以激活其想要使用的分组数据地址。 To send and receive GPRS data, mobile station 102 to help activate the packet data address it wants to use. 此操作使移动台102被GGSN 1¾知道；与外部数据网的互相配合可在此后开始。 This operation makes mobile station 102 known to be GGSN 1¾; with external data networks can thereafter begin interworking. 用户数据可使用譬如封装和隧道技术来在移动台102与外部数据网之间透明地传送。 User data may use techniques such as encapsulation and tunneling transparently between mobile station 102 and the external data network. 数据分组可配备有特定GPRS协议信息，并在移动台102与GGSN 128之间传送。 Data packets may be equipped with GPRS-specific protocol information and transferred between mobile station 102 and 128 GGSN. 如上显而易见地，无线网络包括固定网络组件，所述固定网络组件包括RF收发机、放大器、基站控制器、网络服务器和连接到网络的服务器。  As apparent, the wireless network includes fixed network components, the assembly comprises a fixed network RF transceivers, amplifiers, base station controllers, network servers, and servers connected to the network. 本领域技术人员将认识到：无线网络可连接到未明确显示在图1中的可能包括其他网络的其他系统。 Those skilled in the art will recognize that: the wireless network may be connected to a not explicitly shown in FIG. 1, other systems may include other networks. 网络通常将以正在进行的方式发送很少的一些寻呼和系统信息，即使没有实际的分组数据被交换。 Network will normally be transmitting on an ongoing basis a very few of paging and system information, even if there is no actual packet data exchanged. 虽然网络由许多部分组成，但这些部分都一起工作，从而在无线链路引发特定行为。 Although the network consists of many parts, but these parts all work together, giving rise to a particular behavior in the wireless link. 图2是可在图1的系统100中利用的优选移动台202的详细框图。  FIG. 2 is a detailed block diagram of the mobile station 202 utilized in the system 100 of FIG. 1 is preferred. 移动台202是至少具有语音和数据通信能力的双向通信设备，所述通信能力包括与其它计算机系统通信的能力。 Two-way communication device 202 is a mobile station having at least voice and data communication capabilities, said communication capabilities including the capability to communicate with other computer systems. 取决于由移动台202所提供的功能，移动台202可被称为数据消息收发设备、双向寻呼机、具有数据消息收发能力的蜂窝电话、无线因特网装置或数据通信设备（具有或不具有电话通讯能力）。 Depending on the functionality provided by the mobile station 202, the mobile station 202 may be referred to as a data messaging device, a two-way pager, a cellular telephone, a wireless Internet appliance or a data communication device with data messaging capabilities (with or without telephony capabilities ). 移动台202包括用于容纳一个或更多个可再充电电池256的电池接口254。 The mobile station 202 comprises means for receiving one or more rechargeable batteries 256. Battery interface 254. 这种电池向移动台202中的即使不是全部也是大多数电路供电，电池接口2M为其提供机械和电连接。 This most, if not all, battery-powered circuit, 2M battery interface to provide mechanical and electrical connection to the mobile station 202. 电池接口2M耦合到调整给所有电路的电量的稳压器（图2中未示出）。 The battery interface is coupled to the adjustment to all 2M power regulator circuit (not shown in FIG. 2). 移动台202通常将包括通信子系统211，所述通信子系统211包括接收机212、发射机214和相关组件，所述相关组件例如一个或更多个（优选地嵌入或内部）天线单元216 和218、本地振荡器（LOs) 213和诸如数字信号处理器（DSP) 220之类的处理模块。  Mobile station 202 will typically include a communications subsystem 211, the communication subsystem 211 includes a receiver 212, a transmitter 214, and associated components, the associated components such as one or more (preferably embedded or internal) antenna units 216 and 218, local oscillators (LOs) 213, and a digital signal such as a processor (DSP) processing module 220 or the like. 通信子系统211类似于图1中显示的RF收发电路108和天线110。 RF transceiver circuitry 108 and antenna 110 in communication subsystem 211 is similar to one shown in FIG. 正如对于通信领域技术人员所显而易见的，通信子系统211的特定设计取决于移动台202意欲运行于其中的通信网络。 As for the communication be apparent to those skilled in the, particular design of communication subsystem 211 depends on the mobile station 202 is intended to run in which the communication network. 网络访问需求也将随所利用网络的类型而变化。  Network access requirements will also vary with the type of network utilized. 譬如在GPRS网络中，网络访问与移动台202的用户或用户相关联。 In GPRS networks, for example, network access and mobile station 202 or a user associated with the user. 所以GPRS设备需要用户身份模块，一般被称为SIM卡(即图2的SIM 262)，从而在GPRS网络上进行操作。 Therefore GPRS device therefore requires a subscriber identity module, commonly referred to as a SIM card (i.e. SIM 262 of FIG. 2), thereby to operate on a GPRS network. 若没有SIM 262插入SIM接口洸4， 移动台202不具有完全的功能。 Without SIM 262 into SIM interface Guang 4, the mobile station 202 is not fully functional. 本地或非网络通信功能（如果有)是可操作的，但移动台202将不能执行涉及经由网络通信的任何功能。 Local or non-network communication functions (if any) is operable, but mobile station 202 will not perform any functions involving network communications via. SIM262包括与图1相关所描述的那些特征(即对于图1的SIM 140所描述那些特征)。 SIM262 including those related to features described in FIG. 1 (i.e. for SIM 140 of FIG. 1 described those features). 在所需网络登记或激活过程已完成之后，移动台202可经由网络发送和接收通信信号。  After the desired network registration or activation procedures have been completed, mobile network 202 may send and receive communication signals via a station. 由天线216通过网络所接收的信号输入到接收机212，所述接收机212可执行如下的一般接收机功能：信号放大、下变频转换、滤波、信道选择等等，以及图2中所示的示例中的模数（A/D)转换。 Input from the antenna 216 to the receiver 212 through a network signal received, the receiver may perform a general function of the receiver 212: signal amplification, frequency down conversion, filtering, channel selection, the like, and as shown in FIG. 2 example analog to digital (a / D) conversion. 所接收信号的A/D转换需要更复杂的通信功能，例如DSP220中所实现的解调和解码。 A received signal A / D conversion requires a more complex communication functions, such as those implemented DSP220 demodulation and decoding. 以相似的方式，譬如通过DSP 220处理要发送的信号，所述处理方式包括调制和编码。 In a similar manner, for example by the DSP 220 processing signals to be transmitted, said processing including modulation and encoding mode. 这些DPS处理后的信号输入到发射机214，用于数模（D/A)转换、上变频转换、滤波、放大和经由天线218通过通信网络的发送。 After the processing of these signals is input to the DPS transmitter 214 for digital to analog (D / A) conversion, frequency up conversion, filtering, amplification and transmission over the communication network 218 via the antenna. DSP 220不仅处理通信信号，还提供接收机和发射机控制。 DSP 220 not only processes communication signals, but also provides for receiver and transmitter control. 譬如，可通过在DSP 220中实现的自动增益控制算法来自适应地控制施加于接收机212和发射机214中通信信号的增益。 For example, by the DSP 220 in an automatic gain control algorithms implemented adaptively controlling the gain applied to the communications signal transmitter 214 and receiver 212 from. 移动台202包括微处理器238(其为图1的控制器106的一种实施方式），所述微处理器238控制移动台202的总体操作。  The mobile station 202 includes a microprocessor 238 (FIG. 1 which is an embodiment of the controller 106 of the embodiment), the microprocessor 238 controls the overall operation of the mobile station 202. 通过通信子系统211来实现至少包括数据和语音通信的通信功能。 To achieve at least communication functions, including data and voice communication through communication subsystem 211. 微处理器238还与附加设备子系统互相作用，所述附加设备子系统例如显示器222、闪速存储器224、随机存储器（RAM) 226、辅助输入/输出（I/O)子系统228、串行端口230、键盘232、扬声器234、麦克风236、短程通信子系统240和通常以242指定的任何其他设备子系统。 Microprocessor 238 also interacts with additional device subsystems, said additional device subsystems such as the display 222, flash memory 224, random access memory (RAM) 226, auxiliary input / output (I / O) subsystems 228, a serial port 230, a keyboard 232, a speaker 234, a microphone 236, short-range communications subsystem 240 and is generally designated 242 and any other device subsystems. 数据和控制线在SIM接口264与微处理器238之间延伸，用于在其间传送数据和用于控制。 Data and control lines between SIM interface 264 and microprocessor 238 extending, for transferring data therebetween and for control. 图2中所示的一些子系统执行与通信相关的功能，而其他子系统可提供“驻留的”或设备上的功能。 In Some of the subsystems shown in FIG. 2 perform communication-related functions, whereas other subsystems may provide on-device functions "resident" or. 特别地，譬如，诸如键盘232和显示器222这些子系统可用于与通信相关的功能和设备驻留功能，所述与通信相关的功能例如输入通过通信网络来发送的文本消息，所述设备驻留功能例如计算器或任务列表。 In particular, for example, such as keyboard 232 and display 222 may be used for these subsystems, and device-resident functions related to communications, such as entering a text message for transmission over a communication network with a communication-related functions, the device camps functions such as a calculator or task list. 被微处理器238使用的操作系统软件优选地存储在如闪速存储器2M之类的永久存储器中，其可选为只读存储器（ROM) 或相似的存储元件（未示出）。 Used by the microprocessor 238 operating system software preferably stored in a persistent store such as flash memory or the like 2M, which is optionally a read only memory (ROM) or similar storage element (not shown). 本领域技术人员将认识到：该操作系统、特定设备应用或其部分可临时被载入像这种易失性存储器中。 Those skilled in the art will recognize that: the operating system, specific device applications, or portions thereof, may be temporarily loaded such as a volatile memory. 微处理器238除其操作系统功能之外还优选地在移动台202上启用软件应用程序的执行。  Microprocessor 238 also preferably enable execution of software applications on the mobile station 202 in addition to its operating system functions. 控制基本设备操作的、至少包括数据和语音通信应用程序的预定的应用程序组通常将在其制造过程中被安装在移动台202上。 Control basic device operations, including at least a set of predetermined application data and voice communication applications will normally be installed on mobile station 202 during its manufacture process. 可加载到移动台202上的优选应用程序可以是具有组织和管理与用户有关的数据项目这种能力的个人信息管理器（PIM)应用程序， 所述与用户有关的数据项目例如但不局限于电子邮件、日历事件、语音邮件、约会和任务项目。 A preferred application that may be loaded onto the mobile station 202 may be a user to organize and manage data items relating to the ability of such a personal information manager (PIM) application program, the data items relating to user such as, but not limited to, e-mail, calendar events, voice mails, appointments, and task items. 当然，一个或更多个存储器在移动台202和SIM 256上可用，以使PIM数据项目和其他信息的存储变得方便。 Of course, one or more memory on the mobile station 202 and SIM 256 can be used to make storage of PIM data items and other information becomes easy. PIM应用程序优选地具有通过无线网络发送和接收数据项目的能力。  PIM application would preferably have the ability to send and receive data items via the wireless network. 在优选实施例中。 In a preferred embodiment. PIM数据项目通过无线网络与所存储的和/或与主机计算机系统相关联的移动台用户的相应数据项目无缝地结合、同步并更新，从而在移动台202上创建关于这些项目的镜像主机。 PIM data items via the wireless network with the stored and / or the mobile station user's corresponding data items with a host computer system associated seamlessly integrated, synchronized and updated, thereby creating a mirrored host computer on the items on the mobile station 202. 在主机计算机系统是移动台用户的办公计算机系统的情况下，这是特别有利的。 In the host computer system is the mobile station user's office computer system, this is particularly advantageous. 附加应用程序也可通过网络、辅助I/O子系统228、串行端口230、短程通信子系统240或任何其他合适的子系统242来加载到移动台202上，并由用户安装在RAM 2¾或优选地非易失性存储器（未示出）中，以由微处理器238执行。 Additional applications may also be through network, an auxiliary I / O subsystem 228, serial port 230, short-range communications subsystem 240 or any other suitable subsystem 242 loaded onto the mobile station 202, installed by a user in the RAM 2¾ or preferably, a nonvolatile memory (not shown) for execution by microprocessor 238. 应用程序安装中的这种灵活性提高了移动台202的功能性，并可提供增强的设备上功能、与通信相关的功能或它们两者。 This application installation increases the functionality of flexibility mobile station 202 and may provide enhanced on-device functions, communication-related functions, or both. 譬如，安全通信应用程序可以使用移动台202来实现电子商务功能和其他这种金融交易。 For example, secure communication applications can be implemented using the mobile station 202 e-commerce functions and other such financial transactions. 在数据通信模式中，诸如文本消息或网页下载之类的接收信号将由通信子系统211处理并输入到微处理器238。  In a data communication mode, a received signal such as a text message by the communication or web page download subsystem 211 and input to the microprocessor 238. 微处理器238将优选地进一步处理信号以输出到显示器222、或可选地输出到辅助I/O设备228。 Microprocessor 238 will preferably further process the signal for output to display 222, or alternatively to an auxiliary I / O device 228. 移动台202的用户也可编写数据项目，例如电子邮件消息或短消息服务（SMS)消息，譬如，使用键盘232结合显示器和辅助I/O设备228。 User of mobile station 202 may also compose data items, such as e-mail messages or short message service (SMS) messages, for example, using keyboard 232 in conjunction with display and an auxiliary I / O device 228. 优选地，键盘232是完全字母数字键盘和/或电话型数字按键键盘。 Preferably, the keyboard 232 is a full alphanumeric keyboard and / or telephone-type keypad. 这些编写的项目通过通信子系统211在通信网络上进行传送。 These composed items transmitted through the communication subsystem 211 over a communication network. 电子邮件消息信息的处理和传递将随后在以下关于图4-6来描述。 And the e-mail message information transmission process will then be described below with respect to FIGS 4-6. 对于语音通信，移动台202的总体操作是极其相似的，除了接收信号输出到扬声器234以及用于发送的信号由麦克风236生成。  For voice communications, overall operation of mobile station 202 is very similar, except that received signals are output to 234 and signals for transmission are generated by a microphone 236 speaker. 诸如语音消息记录系统之类的可替换的语音或音频I/O子系统也可在移动台202上实现。 Such as voice message recording system of an alternative voice or audio I / O subsystem may also be implemented on mobile station 202. 虽然优选地，语音或音频信号输出主要通过扬声器234实现，但例如，显示器222也可用于提供主叫方的身份指示、语音呼叫的持续时间或其他语音呼叫相关信息。 Although it is preferred, voice or audio signal output is accomplished primarily through the speaker 234 achieved, but for example, display 222 may also be used to provide indication of the identity of a calling party, duration of a voice call, or other voice call related information. 图2的短程通信子系统240是在移动台202与不同系统或设备之间提供通信的附加的可选组件，所述不同设备不必要是相似的设备。 Short-range communication  FIG. 2 subsystem 240 is an additional optional component to provide for communication between mobile station 202 and different systems or devices, the different devices necessary be similar devices. 譬如，子系统240可包括红外设备和相关电路和组件、或蓝牙（Bluetooth™)通信模块，以便提供与支持类似功能的系统和设备的通信。 For example, subsystem 240 may include an infrared device and associated circuits and components, or a Bluetooth (Bluetooth ™) communications module to provide for communication with a communication system and apparatus similar functions. Bluetooth™是Bluetooth SIG公司的注册商标。 Bluetooth ™ is a registered trademark of Bluetooth SIG Inc.
 图3是图1的无线通信系统100的有关组件的示例性环境，其中可实行在优选实施例的至少一个中的本技术。  FIG. 3 is a component relating to the wireless communication system 100 of FIG. 1 is an exemplary environment in which to implement at least one embodiment of the preferred embodiment of the present technology. 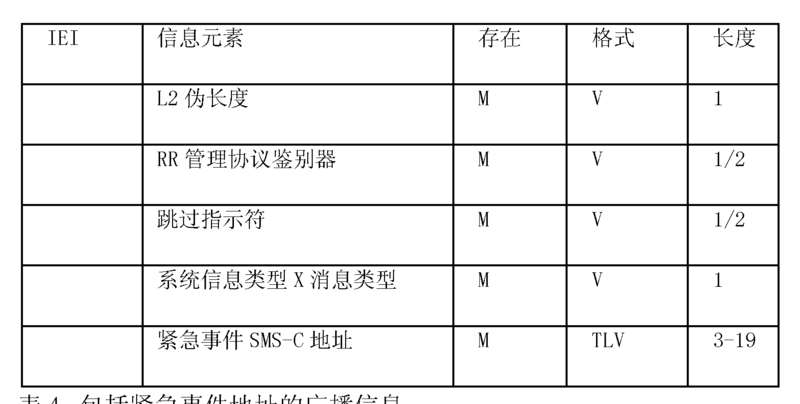 在此示例中，移动设备102被示为访问具有本地SMS-SC 306 的非归属无线通信网络（“本地网”)304并在304中登记。 In this example, mobile device 102 is shown as having access to a local non-home SMS-SC 306 in a wireless communication network ( "local network") 304 and 304 registered. 通常地，由移动设备102发送的SMS消息将通过诸如传统陆上通讯电缆线通信网或广域网之类的本地无线网络304和通信网络302来到达与102的归属无线网络110相关的归属SMS-SC 154。 Generally, SMS messages sent by mobile device 102 through to reach associated with the home wireless network 110 102 of the home SMS-SC local wireless network like a conventional landline line communication network or wide area network of 304 and a communication network 302 such as a 154. 然而，对于特定类型的SMS消息，例如请求紧急援助的SMS消息，从移动设备102发送的SMS消息被路由到本地无线网络304中的本地SMS-SC 306，SMS消息的内容在提供本地紧急援助的实体上发送。 However, for certain types of SMS message, such as request SMS message emergency assistance, the SMS message transmitted from the mobile device 102 is routed to the local SMS-SC 306 a local wireless network 304, the content of the SMS message in providing local emergency assistance send the entity. 图4是说明根据优选实施例的至少一个的、经由本地无线网络（譬如图3中的无线网络304)将由访问移动设备（譬如图3中的移动设备102)发出的短消息路由到本地短消息服务中心的这一过程的示例性流程图400。  FIG. 4 is a diagram illustrating a short message routing emitted embodiment preferably at least one, via a local wireless network (such as in FIG. 3 a wireless network 304) will access the mobile device (eg mobile device in FIG. 3102) according to An exemplary flowchart of the process of local short message service center 400. 在图4的方框402中，本地无线网络从移动设备接收具有消息目的地的SMS消息。 In block 402 of FIG. 4, a local wireless network from the mobile device receives an SMS message having a message destination. 典型地，消息目的地是移动设备的用户手动插入或选择的指定接收者的地址，被称为传输协议目的地址（“TP-DA”)。 Typically, the message destination is the address of the intended recipient mobile device user manually inserted or selected, the transport protocol is referred to as the destination address ( "TP-DA"). 在紧急类型的短消息的情况下，TP-DA将是诸如“911”、“112”、“999”这种短电话代码，或已知用于指示短消息涉及紧急情况的任何预定代码。 In the case of a short message of the emergency type, TP-DA will be such as "911", "112", "999" Such short phone code, or any known predetermined code indicating the short message relates to an emergency situation. 移动设备还自动将路由选择信息（即归属SMS-SC的地址）插入到消息中用于传递。 The mobile device also automatically routing information (i.e. the address of the home SMS-SC) into the message for delivery. 为响应从移动设备对消息进行接收，本地无线网络估计TP-DA并将短消息路由到适合的SMS-SC。  In response to receiving the message, the local wireless network is estimated TP-DA and routes the short message to the appropriate SMS-SC from the mobile device. 注意，本地无线网络具有预定的短消息目的地的存储列表，这可用于将短消息从移动设备路由到适合的本地目的地。 Note that the local wireless network having a stored list of predefined short message destinations, which can be used to route a short message from the mobile device to an appropriate local destination. 预定的短消息目的地可以是或包括多个紧急中心目的地，例如但不局限于警局、消防队、医院、“911”、“112”、“999”或与紧急事件中心相关的任何其他目的地。 Predetermined short message destination may be or include a plurality of emergency center destinations, such as, but not limited to police, fire brigade, hospitals, and any other "911", "112", "999" or related to an emergency center destination. 在图4的方框404中，本地网络将消息目的地（即TP-DA)与预定的短消息地址的存储列表作比较。 In block 404 of FIG. 4, the message destination local network (i.e., TP-DA) with a stored list of predefined short message address for comparison. 如果在方框404中发现匹配，则本地无线网络将SMS消息从移动设备传送到本地目的地，所述本地目的地与图4的方框406中预定短消息目的地列表的匹配预定短消息目的地相对应。 If a match is found in block 404, the local wireless network from the mobile device transmits an SMS message to a local destination, the local destination block 406 of FIG. 4 in a predetermined short message destination matches a predefined short message destination list to correspond. 本地目的地可以是本地SMS-SC或本地定位的紧急事件中心。 Local emergency center destination may be a local SMS-SC or locally targeted. 每个紧急事件中心目的地可具有针对本地定位的紧急中心的相应短消息目的地。 Each emergency center destination may have a corresponding short message destination for the local emergency center is located. 本地无线网络可以各种方式将SMS消息路由到本地目的地，所述各种方式包括：用本地目的地替换原始消息目的地，并将短消息发送到本地目的地；将短消息转发到本地目的地；以及生成具有本地目的地的新的短消息，将原始短消息添加到新短消息，并将具有添加后的短消息的新短消息发送到本地目的地。 The local wireless network can be a variety of ways to route the SMS message a local destination, the various means comprises: replacing the original message destination with the local destination and transmitting the short message to the local destination; forwarding the short message to the local object ground; and generating a new short message having the local destination, add the original short message to the new short message, and send the new short message having a message to the local destination added. 图5是配置用于根据图4将紧急类型短消息路由到本地目的地的本地无线网络的网络组件的示例性框图500。  FIG. 5 is a block diagram of an exemplary configuration 500 of the network components of the local destination local wireless network according to FIG. 4 is routed to the short message of the emergency type. 本地无线网络104具有短消息接收机550，所述接收机550配置用于从诸如图1-3的移动设备102之类的本地登记移动设备接收具有消息目的地的短消息。 Local wireless network 104 has a short message receiver 550, a receiver 550 configured for receiving a short message having a message destination from a locally registered mobile device such as illustrated the mobile device 102 or the like 1-3. 本地无线网络104具有存储器设备504，所述存储器设备504配置用于存储前述的预定短消息目的地列表。 Local wireless network 104 has a memory device 504, the memory device 504 is configured list of predefined short message destination for storing the foregoing. 消息目的地评估器（evaluator) 506耦合到短消息接收机550和存储器504，并配置用于将消息目的地与存储器504中预定短消息目的地列表的预定短消息目的地进行匹配。 Message destination evaluator (Evaluator) 506 is coupled to a short message receiver 550 and a memory 504, and is configured for the message destination with a predefined short message memory 504 a list of predefined short message destination matches the destination. 消息目的地重定向器508耦合到消息目的地评估器506，并配置用于将短消息重定向到与预定短消息目的地列表的匹配预定短消息目的地相对应的本地目的地。 508 is coupled to the message destination redirect message destination evaluator 506, and is configured to redirect messages to a predetermined short message destination with a predefined short message destination of the list of matching corresponding to the local destination. 消息目的地重定向器508可进一步配置以用本地目的地替换消息目的地。 Message destination redirector 508 may be further configured to replace the message destination with the local destination. 短消息发射机510 耦合到消息目的地重定向器508，并配置用于将短消息发送到本地目的地（例如图3的本地SMS-SC 306)。 The short message transmitter 510 is coupled to the message destination redirector 508, and configured to transmit the short message to a local destination (e.g., FIG. 3 is a local SMS-SC 306). 短消息发射机510可进一步配置用于将短消息转发到本地目的地。 Short message transmitter 510 may be further configured to forward the short message to the local destination. 本地无线网络304也可具有消息发生器512，所述消息发生器512耦合到消息目的重定向器508 和短消息发射机510，并配置用于生成具有本地目的地的新短消息以及将短消息添加到该新短消息。 The local wireless network 304 may also have a message generator 512, the message generator 512 is coupled to the message destination redirector 508 and a short message transmitter 510, and configured to generate a new short message having the local destination and the short message adding to the new short message. 可选地，移动设备可自行将SMS消息定向到合适的本地目的地，例如本地SMS-SC。  Alternatively, the mobile device itself may direct the SMS message to an appropriate local destination such as the local SMS-SC. 为了说明，图6是说明根据优选实施例的至少一个，通过移动设备将由移动设备发出的SMS 消息路由到本地SMS-SC这一过程的示例性流程图600。 To illustrate, FIG. 6 illustrates a preferred embodiment at least one embodiment, a mobile device by a mobile device sends a SMS message routing to an exemplary flowchart of a local SMS-SC 600 in the process. 移动设备可利用其一个或更多个处理器（譬如微处理器）来实现本方法的步骤，或更特别地实现后面关于图7描述的功能组件。 The mobile device may utilize one or more processors (such as a microprocessor) to implement the steps of the method, or more particularly the functional components implemented later described with respect to FIG. 7. 在图6的方框602中，移动设备接收预定短消息目的地列表，这已在前面描述过。  In block 602 of FIG. 6, the mobile device receives a list of predefined short message destinations, which has been previously described. 移动设备可在诸如本地网络304之类的移动设备非归属网络中登记时，接收预定短消息目的地列表。 When the mobile device may be registered in a local network, such as mobile device 304 or the like non-home network, receiving a list of predefined short message destinations. 在图6的方框604中，移动设备生成具有消息目的地的SMS消息。 In block 604 of FIG. 6, the mobile device generates an SMS message having a message destination. 典型地，如之前所描述，消息目的地是移动设备的用户手动插入或选择的指定接收者的地址，被称为传输协议目的地址（“TP-DA”）。 Typically, as described earlier, the message destination is the address of the intended recipient mobile device user manually inserted or selected, the transport protocol is referred to as the destination address ( "TP-DA"). 在紧急类型短消息的情况下，TP-DA将是诸如“911”、“112”、 “999”之类的短电话代码，或已知用于指示短消息涉及紧急情况的任何预定代码。 In case of an emergency short message type, TP-DA will be such as "911", "112", "999" like a short telephone code, or any known predetermined code indicating the short message relates to an emergency situation. 移动设备还自动将路由选择信息（即归属SMS-SC的地址）插入到消息中用于传递。 The mobile device also automatically routing information (i.e. the address of the home SMS-SC) into the message for delivery. 移动设备将消息目的地与图6的方框606中的预定短消息目的地列表相比较。  The mobile device compares the list of predefined short message destinations in block 606 of FIG. 6 with the message destination of. 如果消息目的地匹配预定短消息目的地列表的预定短消息目的地，则移动设备将SMS短消息发送到本地目的地，所述本地目的地与图6的方框608中预定的短消息目的地列表的匹配预定短消息目的地相对应。 If the message destination matches a predefined short message destination of the list of predefined short message destinations, the mobile device will send SMS short message to a local destination, the local destination block 608 in FIG. 6 a predetermined short message destination matching a list of predetermined short message corresponding to the destination. 譬如，移动设备可通过用本地目的地替换原始消息目的地来将SMS消息发送到本地目的地，所述本地目的地与预定本地目的地的本地列表的匹配预定短消息目的地相对应。 For example, the mobile device may be transmitted by replacing the original message destination with the local destination SMS message to a local destination, the local list matching the predetermined local destination with the local destination corresponding to a predetermined short message destination. 图7是是配置用于根据图6将短消息传送到本地SMS-SC的移动设备102的示例性框图700。  FIG. 7 is a configuration for transmitting the short message to the exemplary block diagram of a local SMS-SC 700 of the mobile device 102 according to FIG. 移动设备102可在一个或更多个处理器（譬如微处理器）中实施图7的功能组件。 The mobile device 102 of FIG. 7 may implement functional components in the one or more processors (such as a microprocessor) in. 如图所示，移动设备102具有接收机702，所述接收机702配置用于从本地无线网络304接收前述预定短消息目的地列表。 As shown, the mobile device 102 having a receiver 702, a predetermined destination list receiver 702 configured to receive the local wireless network 304 from the message. 移动设备102还具有耦合到接收机702的存储器设备704，所述存储器设备704配置用于存储预定短消息目的地列表。 The mobile device 102 also has a memory device 704 coupled to the receiver 702, the memory device 704 configured to store a list of predefined short message destinations. 接收机702可配置用于只在移动设备102在诸如本地无线网络304之类的非归属网络中登记之后接收预定短消息目的地列表。 Receiver 702 may be configured to receive only a predetermined short message destination list after the mobile device 102 is registered in a non-home network such as the local wireless network 304 class. 移动设备102还具有短消息发生器706，其配置用于生成具有消息目的地的短消息。 The mobile device 102 also has a short message generator 706, which is configured to generate a short message having a message destination. 目的地比较器708耦合到存储器设备704和短消息发生器706，并配置用于将消息目的地与存储器设备704中存储的预定短消息目的地列表的预定短消息目的地进行匹配。 A destination comparator 708 is coupled to the memory device 704 and the short message generator 706, and is configured to a predetermined short message destination of the message destination with the memory device 704 stores a list of matching predefined short message destinations. 发射机710耦合到目的地比较器709，并配置用于将短消息发送到本地目的地，所述本地目的地与预定短消息目的地列表的匹配的预定短消息目的地相对应。 The transmitter 710 is coupled to the destination comparator 709, and configured to transmit the short message to a local destination, the local destination and a predetermined short message destination matches a predefined short message list corresponding to the destination. 目的地比较器708可进一步配置以用与预定本地目的地的本地列表的匹配的预定短消息目的地相对应的本地目的地替换消息目的地。 A destination comparator 708 may be further configured to match with a local list of predefined local destination predefined short message destination of the local destination corresponding to replace the message destination. 图8是移动设备的可视显示器222的说明性示例，所述可视显示器222用于显示供启动来自移动设备的短消息之用的信息和提示。  FIG 8 is an illustrative example of a visual display of the mobile device 222, a display 222 for displaying visual information, and for starting the presentation of a short message from the mobile device. 将要描述的用户接口方法可使用在这里描述的用于从移动设备发出短消息的任何技术。 The user interface method to be described can be used in any of the techniques described herein for a short message sent from a mobile device. 通常，移动设备的处理器可操作用于使图8的信息和提示显示在可视显示器222中，以响应用户的发送短消息的这一输入请求。 Generally, a processor of a mobile device operable for FIGS. 8 and tips shown in visual display 222 in response to this input request to send a short message to the user. 处理器接收用于字母数字文本输入域852中的短消息的字母数字文本信息，所述短消息可由用户通过用户接口通过键盘232等等来手动输入。 Alphanumeric text information processor for receiving alphanumeric text input field 852 of the short message, the short message via the user interface by a user through the keyboard 232 and the like to manually input. 在图8中，字母数字文本输入域852中的字母数字文本信息指示短消息是紧急类型的，写出“求助！请将援助发送至芝加哥416W Bartol (Help ！ Please send asst to 416W Bartol，Chicago) ”。 In Figure 8, alphanumeric text information alphanumeric text input field 852 indicates the type of message is urgent, write "help! Please send aid to the Chicago 416W Bartol (Help! Please send asst to 416W Bartol, Chicago) . " 处理器还在目的地域850 中接收目的地址信息（用于电话号或代码）用于可由用户通过键盘232等等来手动输入的短消息。 The processor 850 also receives destination domain destination address information (a telephone number or code) for the short message by the user via the keyboard 232 and the like to manually input. 在图8中，目的地址信息指示该短消息是紧急类型，因为它是针对“911”的短电话代码。 In Figure 8, the destination address information indicates that the short message is of the emergency type, as it is for the "911" in a short telephone code. 处理器可使多个可视提示830的一个或更多个显示在可视显示器222中。  The processor may cause a plurality of the one or more visual prompts displayed on the visual display 830 222. 可视提示320的任何一个都可由移动设备的用户利用移动设备的任何适合的输入设备来选择或激励，所述适合的输入设备例如键盘232 (譬如上/下和左/右键）、滚轮、跟踪球，例如可利用光标812或定位标记。 A visual cue any suitable input device can be any mobile device by a user using the mobile device 320 may be selected or excited, the suitable input device such as a keyboard 232 (such as upper / lower and left / right), the roller track balls, for example, by using a cursor 812 or the positioning marks. 在图8中，可视提示830包括用于以普遍的、标准的方式发送短消息的发送消息提示854。  In Figure 8, the visual cue 830 comprises sending a short message to a universal, standard way to send a message prompt 854. 可视提示830还可包括用于为一般紧急服务发送紧急类型短消息的紧急消息提示802。 830 may further include a visual cue for transmitting a short message of the emergency type for the general emergency message prompt 802 emergency services. 譬如，可显示的其他可视提示830更具体并且包括用于警察服务的紧急消息提示804、 用于消防服务的紧急消息提示806和用于救护/医院服务的紧急消息提示808。 For example, other visual prompts 830 may be displayed and more specifically comprises an emergency message prompt 804 for police services, for fire emergency message prompt 806 for emergency services and ambulance message / prompt 808 hospital services. 虽然可视提示830显示于图8中作为图形用户接口（GUI)类型的用户可激励对象，但可视提示830 可选地可显示为菜单功能列表中的功能。 Although visual cues as 830 in FIG. 8 show a graphical user interface (GUI) objects user activatable type, but alternatively visual prompts 830 may be displayed as a function of the function menu list. 更普遍地，任何适合的紧急功能都可在用户接口中提供，以供发送紧急消息之用。 More generally, any suitable emergency function can be provided in a user interface, an emergency message for transmission purposes. 当已输入字母数字文本输入域852中的字母数字文本信息并且可视提示830之一已由用户激励或选择时，处理器使短消息被处理并被发送到适合的目的地。 When the entered alphanumeric text input field 852 alphanumeric text information and one of a visual cue when the user 830 has been excited or alternative, the processor of the short message is processed and sent to the appropriate destination. 在一个变体中，显示用于紧急服务的可视提示802、804、806和808的任何一个或全部可先于和/或代替任何目的地址域850和/或字母数字文本输入域852的显示。  In a variant, the display visual prompts 802, 804 for emergency services 808 and any of a destination address field 850 of any and / or alphanumeric text input field or all of which may precede and / or in lieu 852 display. 在这种情况下，用户对可视显示器222中所呈现的选项进行导航，直到用于紧急服务的可视提示802、804、806和808被显示。 In this case, the user options presented in a visual display 222 to navigate until visual prompts 802, 804, and 808 for emergency services are displayed. 取决于情况，用户通过用户接口来激励或选择与紧急情况相对应的可视提示802、804、806或808之一。 Depending on the case, the user selects an emergency or excited corresponding to visual prompts 802, 804 or 808 via one of the user interface. 对这些可视提示802、804、806或808之一的激励的检测使得处理器从其存储器识别或选择与可视提示802、804、806或808相对应的适合的目的地/路由选择信息，将这些信息插入到消息中以供传递（譬如见以下讨论），并显示字母数字文本输入域852以供用户通过用户接口手动输入字母数字文本信息。 Excitation or detection of one of these visual cues 802, 804, 808 causes processor with visual prompts 802, 804 or 808 corresponding to the appropriate destination / route selection information identifying or selecting from its memory, this information into the message for delivery (for example see discussion below), and display alphanumeric text input field 852 through the user interface for the user to manually enter alphanumeric text information. 所选的目的地址和目的地址域850可能或可能不显示在可视显示器222种。 The selected destination address and destination address field 850 may or may not be displayed on the visual display 222 kinds. 在另一个变体中，字母数字文本信息可以是预定的字母数字文本信息，其由移动设备的处理器在用户不需要任何手动输入文本的情况下预先填充。 In another variant, the alphanumeric text information may be predetermined alphanumeric text information, which is filled in advance by a processor of the mobile device if the user does not need to manually enter any text. 因此，使用可视提示802、804、806和808，用户不必试图输入任何目的地址，而只需选择与紧急情况相对应的适合的可视提示802、804、806和808。  Thus, using visual cues 802, 804 and 808, the user does not attempt to enter any destination address, and simply select the corresponding appropriate emergency visual cues 802, 804 and 808. 在用户不熟悉访问位置的情况下（其中这种目的地址可能未知或与归属位置处的地址不同），这会是尤其重要的。 In the case of user access are not familiar with the location (which for this purpose may be unknown address or the address of the home location different), it would be particularly important. 图9是用于描述用以对从移动设备发出的紧急类型短消息进行传送的方法的过程流图。  FIG. 9 is a process flow diagram for describing a method for emergency-type short message sent from a mobile device transfer. 关于图9所描述的技术可通过移动通信设备来实现，所述移动通信设备利用其一个或更多个处理器（譬如微处理器）。 Technical described in FIG 9 may be implemented by a mobile communication device, the mobile communication device utilizing one or more processors (such as a microprocessor). 补充技术可用过无限网络中的一个或更多个网络实体或组件来实现，所述实体或组件例如移动交换中心（MSC)或服务通用分组无线服务(GPRS)支持节点（SGSN)。 Techniques may be added through a wireless network or more network entities or components is achieved, the entities or components such as a mobile switching center (MSC) or a serving general packet radio service (GPRS) support node (SGSN). 第二消息中心地址可称为具有根据E. 164或其他适合格式类型（譬如，E. 212或E.214)的“全局标题”地址。  The second message center address may be referred to as having (for example, E. 212 or E.214) the "global title" The E. 164 address or other type of suitable formats. 第二消息中心地址可以是直接与紧急消息中心相关联的地址， 可选地，间接与以下消息中心相关联的地址，即在所述消息中心处，执行网络中的多个通信跳跃，直到到达适合的紧急消息中心。 The second message center address may be a direct address associated with an emergency message center, alternatively, indirectly to the message center address associated, i.e. in the message center, a plurality of communications performed in the network hop until it reaches suitable emergency message center. 可选地，第二消息中心地址可能不是有效的地址，而只是作为网络的指示来工作以执行短消息的紧急消息路由选择，其中，基于短消息中的第二消息中心地址指示，从紧急消息中心中识别适合的消息中心地址，并被插入短消息用于路由。 Alternatively, the second message center address may not be a valid address, but merely as an indication to the network to perform the work of a short message routing emergency message, wherein the short message based on the second message center address in the instruction from the emergency message suitable centers identified message center address, and is inserted into a short message for routing. 从图9开始，移动设备102通过无线通信网络（图9的步骤950)来发起短消息的传送。  Starting with Figure 9, the mobile device 102 to initiate transmission of a short message over a wireless communication network (step 950 in FIG. 9). 短消息被指示为图9中的移动发起这种短消息可能是或可能不是紧急消息。 This short message is a short message indicating the mobile to initiate in FIG. 9 may or may not be an emergency message. 譬如，短消息可以关于图6-8所描述的任何方式输入到移动设备102中。 For example, the short message may be on any of the described embodiment of FIG. 6-8 is input to the mobile device 102. 通常，移动设备102的处理器通过用于传送短消息的用户接口识别来自用户的用户输入请求。 Typically, the processor of the mobile device 102 through a user input request for communicating a short message interface to identify a user from a user. 处理器识别是否用户输入请求是用于紧急消息的，譬如，这可以关于图6-8所描述的任何方式检测。 The processor identifies whether the user input request is for the emergency message, for example, which can be detected with respect to any embodiment described in Figures 6-8. 如果用户输入请求被识别为用于非紧急消息，则处理器从存储器读取第一消息中心地址，并在短消息的消息中心地址域中提供第一消息中心地址。  If the user input request is identified as a non-emergency message, the processor reads the first message center address from the memory, and provides a first message center address in a message center address field of the short message. 另一方面，如果用户输入请求识别为紧急消息，则处理器从存储器读取第二消息中心地址，并在短消息的消息中心地址域中提供第二消息中心地址。 On the other hand, if the user input request is identified as being an emergency message, the processor reads the second message center address from the memory, and provides a second message center address in a message center address field of the short message. 在本实施例中，消息中心地址域可以是短消息的RP数据目的地址域（见规范文献TS 24. 011，7. 3. 1. 2节）。 In the present embodiment, it may be a message center address field data RP destination address field of the short message (see section 24. The specification document TS 011,7. 3.1.2). 而后在图9的步骤950中，经由无线通信网络，通过空中接口来发送短消息。 Then in step 950 of FIG. 9, via a wireless communication network, the short message is transmitted over the air interface. 通常，当短消息是紧急消息时，网络使用短消息中的第二消息中心地址以识别短消息是紧急类型的。 Typically, when the short message is an emergency message, the network using the second message center address in the short message to identify the short message is an emergency type. 基于识别此地址，网络实质上拦截这种消息，并将它引入适合的本地消息中心，用于紧急消息处理和向适合的紧急目的地进行转发。  Based on recognition of this address, the network substantially intercept this message, and it introduces a local message center suitable for handling emergency message and forwards the appropriate emergency destination. 当移动设备102访问非归属无线网络， 这个本地消息中心不是归属无线网络的归属消息中心。 When the mobile device 102 accesses a non-home wireless network, the local message center is not the home message center of the home wireless network. 现描述与短消息的网络操作和处理有关的细节。  now be described details regarding network operations and processing the short messages. 由移动设备102发出的短消息被诸如MSC 122或SGSN 1¾的任何适合的网络节点或组件接收并处理。 The short message sent by the mobile device 102 is such as a MSC 122 or SGSN 1¾ any suitable network node or component receives and processes. 注意，紧急类型短消息由具有比非紧急类型短消息更高优先级的网络进行处理。 Note that, the short message of the emergency type are processed than the non-emergency type having a higher priority of the short message network. 假定由MSC 122进行操作，MSC 122操作用于读取消息中心地址，将它插入短消息的服务中心地址域，并转发该短消息用于网络中的进一步处理。 Assumed that the MSC 122 operating, MSC 122 is operable to read the message center address, it is inserted into the short message service center address field, and forwards the short message in the network for further processing. 在本实施例中，服务中心域是TS29. 002 MO-Forward SMS OPERATION 的krviceCentreAddressOA域。 In the present embodiment, the service center field is TS29. 002 MO-Forward SMS OPERATION of krviceCentreAddressOA domain. 另外，短消息被转发到信令连接控制部分（SCCP)，所述SCCP可以是MSC 122的一部分。 Further, the short message is forwarded to the Signaling Connection Control Part (SCCP), the SCCP may be part of the MSC 122. 响应于对消息的接收，SCCP操作用于从所转发的短消息读取服务中心地址，并将其和与紧急消息处理（譬如见图9的紧急SMS-SC地址904)相关联的存储地址作比较。  In response to receiving the message, the SCCP operates to read the short message service center address from the forwarded, and the emergency message, and processing (for example, see FIG. 9 address emergency SMS-SC 904) associated compare memory address. 在本实施例中，所存储的地址是对于用于紧急消息收发或处理（全球的或地方的）的所有载波都相同的固定地址或指示。 In the present embodiment, the address is stored for all carriers for messaging or emergency treatment (global or local) are fixed to the same address or instruction. 注意，在这一层，短消息的消息中心地址可称作E. 164全句标题地址。 Note that, at this level, the message center address of the short message may be referred to the whole sentence header E. 164 address. 如果短消息的服务中心地址与所存储地址之间匹配，则SCCP操作用于将该消息中心地址替换成与分配用于处理紧急消息的本地消息中心（譬如，SMS-SC 306)对应的消息中心地址。 If a match between the service center address with a stored address of the short message, the SCCP operates to replace the message center address of the local message center (for example, SMS-SC 306) assigned to process emergency messages corresponding to a message center address. 此外，注意，紧急类型短消息由具有比非紧急类型短消息更高优先级的网络进行处理。 Further, note, short message of the emergency type are processed by a higher priority than non-network having a short message of the emergency type. 否则，短消息的消息中心地址不改变为与本地紧急消息中心相对应。 Otherwise, the message center address short message does not change with the local emergency message center, respectively. 可选地，如果基于所述比较存在匹配，则SCCP操作用于设置目的地（譬如，消息转移部分或MTP层中的目的点代码）以对应分配用于处理紧急消息的本地消息中心（譬如SMS-SC 306)；否则，短消息的目的地不改变为对应本地紧急消息中心。 Alternatively, if there is a match based on the comparison, the SCCP operates to set the destination (for example, message transfer part layer MTP or destination point codes in a) corresponds to the local message distribution center for processing the emergency message (such as SMS -SC 306); otherwise, the destination of the short message is not changed to correspond to the local emergency message center. 因此，如果短消息是紧急类型的，则短消息从SCCP传送、路由经过SMS互通MSC(SMS MSC)902(见图9的步骤952)到与消息中心地址相关联的本地消息中心（譬如SMS-SC 306)(图9的步骤954)。  Thus, if the short message is of the emergency type, Message transmission from the SCCP, routed through SMS Interworking MSC (SMS MSC) 902 (see FIG. 9 step 952) to the local message center address associated with the message center ( for example, SMS-SC in step 306) (954 in FIG. 9). SMS-SC 306而后可适合地将短消息路由到本地紧急目的地906(警局、消防、救护等）（图9的956)。 SMS-SC 306 may then be adapted to route the short message (956 in FIG. 9) (police, fire, ambulance, etc.) local 906 emergency destination. 显然，当移动设备102访问非归属无线网络时， 本地消息地址（譬如SMS-SC 306)确实是本地的并且不是归属无线网络的归属消息中心； 所以将紧急消息适合地传送到被访问无线网络处或附近的地方当局，而不是归属无线网络处或附近的归属当局。 Obviously, when 102 accesses a non-home wireless network of the mobile device, the local message address (for example, SMS-SC 306) is indeed the local and not the home message center of the home wireless network; therefore the urgent message suitably to the wireless network at the visited local authority or nearby, instead of the home wireless network or at a home near the authorities. 另一方面，如果短消息是非紧急类型，则将短消息传送到SCCP、路由经过SMS I丽SC 902(图9的步骤952)(或其他SMS I丽SC)到与消息中心地址相关联的归属消息中心（譬如SMS-SC 154)(图9的步骤960)。 On the other hand, if the short message is a non-emergency type, then the short message to the SCCP, routed through SMS I Li SC 902 (step 952 in FIG. 9) (or other SMS I Korea SC) to the home message center address associated message center (for example, SMS-SC 154) (step 960 in FIG. 9). 归属SMS-SC 154而后可适合地将短消息传送到如之前发出短消息时用户所指示的目的地908 (图9的步骤962)。 Home SMS-SC 154 may then be adapted to the destination of the short message sent as a short message when the user previously indicated 908 (step 962 in FIG. 9). 在一个特定实施例中，紧急服务的第二消息中心地址可定期地或周期性地通过广播或控制信道经由无线网络而被广播，用于接收、存储以及供移动通信系统使用于这些目的。  In one particular embodiment, the second message center address of emergency services may be regularly or periodically broadcast over a broadcast network or via a wireless control channel, for receiving, storing and a mobile communication system for use in these purpose. 当第二消息中心地址表示对紧急消息进行操作的本地消息中心的实际直接或间接地址时，这是尤其无用的。 When the second message center address directly or indirectly represents the actual address of the local emergency message center messages operation, which is useless in particular. 为了说明，图10是用于描述用于通过无线网络来对紧急地址信息进行广播的方法的过程流图。 To illustrate, FIG. 10 are diagrams for describing a method for broadcasting over a wireless network address information of the emergency process flow in FIG. 如图10中显示，广播信息1002、1004和1006由无线网络304在指定的重复率下定期地或周期性地进行广播。 Displayed in FIG. 10, 1002, 1004 and 1006 or the broadcast information periodically broadcasted by the wireless network 304 at a designated repetition rate periodically. 操作在无线网络304中的诸如移动设备102 之类的移动通信设备定期地或周期性地接收这种广播信息，同时将其存储在存储器中。 Operation of the mobile communication device such as mobile device 102 or the like in a wireless network 304 periodically or regularly receive such broadcast information, and stores it in the memory. 由于无线网络304可以间或地改变紧急地址或其他信息，所以移动设备总是利用最当前的广播信息以便进行短消息处理。 Since the wireless network 304 or other emergency address information may be changed from time to time, the mobile device always using the most current broadcast information for short message processing. 当接收到更新后的地址信息时，移动设备102操作用于存储更新后的地址信息，从而替换前述地址信息。 Upon receiving the updated information address, the mobile device 102 is operable to store the updated information address, whereby the replacement address information. 因此，移动设备102可保持对用于特定无线网络的紧急消息中心地址进行存储， 并可存储与多个不同无线网络相关联的多个这种地址。  Thus, the mobile device 102 may maintain the emergency message center address for a particular wireless network for storage, and may store a plurality of such plurality of addresses associated with different wireless networks. 如此，当移动设备102漫游或访问非归属无线网络（譬如，无线网络304)时，它可利用用于此特定无线网络的紧急消息中心地址。 Thus, when roaming or 102 non-home wireless network access (for example, wireless network 304) the mobile device, it can be used for the emergency message center address this specific wireless network. 在可选技术中，设置短消息的指示符用于指示短消息是紧急消息，而不是在消息中心地址域中提供第二目的地消息。  In an alternative technique, an indicator is provided for indicating the short message the short message is an emergency message, instead of providing the second destination message in the message center address field. 使用这种技术，消息中心地址可保持为归属消息中心地址、或在从移动设备发送之前的其他适合的地址。 Using this technique, message center address may remain as the home message center address, or other suitable address from the mobile device prior to transmission. 更明确地，如果用户输入请求被识别为用于紧急消息，则移动设备设置短消息中的指示符，用于指示短消息是紧急消息。 More specifically, if the user input request is identified as being for an emergency message, the mobile device is provided in the short message an indicator for indicating the short message is an emergency message. 另一方面，如果用户输入请求被识别为用于非紧急消息，则移动设备设置短消息中的指示符，用于指示短消息不是紧急消息。 On the other hand, if the user input request is identified as a non-emergency message, the mobile device is provided in the short message an indicator for indicating the short message is not an emergency message. 比特543210 000000 000001 000010 000011 000100 000101 000110 000111 001000 001001. Bits 543210000000 000001000010 000011000100 000101000110 000111001000 001001. 除了MSC/SGSN操作用于从已转发的短消息读取指示符并将其与用于紧急消息操作的存储指示符作比较的操作之外，网络对短消息的处理以如关于图9的前述相同的方式来实现。 In addition to MSC / SGSN for read operations from the short message indicator and forwarded to its stored message indicator for emergency operation of the comparison operation, the processing of the network to the preceding short message with respect to FIG. 9 the same manner. 如果短消息的指示符与存储指示符之间匹配，则MSC/SGSN操作用于将该消息中心地址替换成与分配用于处理紧急消息的本地消息中心（譬如SMS-SC 306)相对应；否则， 以如下正常方式处理短消息，即消息中心地址域中的消息中心地址（譬如归属消息中心地址）维持不变。 If a match between the indicator and the indicator stored in the short message, the MSC / SGSN operates to replace the message center address allocated to the local message center for processing the emergency message (such as SMS-SC 306) correspond; otherwise , in the normal manner as a short message, the message center address (such as a home message center address) of the message center address field unchanged. 因此，已描述了由移动通信设备使用用于通过无线通信网络来传送紧急类型短消息的方法和装置。  Thus, methods and apparatus have been described by the use of a mobile communication device for transmitting a short message of the emergency type via a wireless communication network. 在一个说明性示例中，与归属消息中心相关联的第一消息中心地址和与紧急消息中心相关联的第二消息中心地址存储在移动设备的存储器中。 In one illustrative example, the first message center address and the second message center address stored in a home message center associated with the emergency message center in the associated memory of the mobile device. 存储器可以是用于移动设备的可移除存储器模块，例如用户身份模块（SIM)。 The memory may be removable memory module for mobile devices, such as subscriber identity module (SIM). 用于传送短消息的用户输入请求通过移动设备的用户接口来接收。 The user input request for communicating a short message is received via a user interface of the mobile device. 如果用户输入请求被识别为用于紧急消息，则第二消息中心地址从存储器被读取并在短消息的消息中心地址域中被提供。 If the user input request is identified as being for an emergency message, the second message center address is read from the memory and provided in a message center address field of the short message. 具有消息中心地址域中第二消息中心地址的短消息而后由移动设备发送到无线网络。 A second short message having a message center address in the message center address field is then transmitted by the mobile device to the wireless network. 网络在消息中心地址域中识别出第二消息中心地址，并作为响应使短消息被发送到网络本地的紧急消息中心。 Network message center address field identifies the second message center address, and response of the short message is sent to the network's local emergency message center. 如此，当移动设备访问非归属无线网络时，短消息可传送到适合的本地紧急消息中心。 Thus, when the mobile device accesses a non-home wireless network, the short message may be transmitted to the appropriate local emergency message center. 移动设备可通过无线网络的广播信道接收第二消息中心地址，并将它与无线网络的无线网络标识相关联地进行存储。 The mobile device may receive a second message center address over a broadcast channel of the wireless network, and it is stored with a wireless network identification of the wireless network association. 在可替换技术中，由移动通信设备使用用于通过无线通信网络传送紧急类型短消息的说明性技术包括以下行为：通过用户接口来接收用于传送短消息的用户输入请求；提供与短消息的消息中心地址域中的归属消息中心相对应的消息中心地址；如果用户输入请求被识别为用于紧急消息，则：设置短消息中的指示符用于指示短消息是紧急消息；如果用户输入请求被识别为用于非紧急消息，则：设置短消息中的指示符用于指示短消息不是紧急消息；以及使短消息被发送到无线通信网络。  In an alternative technique, by the mobile communication device for use with an exemplary short message of the emergency type transmission over a wireless communication network comprising the acts of: communicating a short message request user input through the user interface to receive; providing home message center of the short message center address field of the message corresponding to the message center address; if the user input request is identified as being for an emergency message, then: setting the short message an indicator for indicating the short message is an emergency message; if the user input request is identified as a non-emergency message, then: setting the short message an indicator for indicating the short message is not an emergency message; and causing the short message is transmitted to the wireless communication network. 短消息中的指示符包括传输协议标识符(TP-ID)。 Short message transfer protocol identifier comprises an indicator (TP-ID). 在又一个实施例中，由网络节点（例如移动交换中心或服务GPRS交换节点）使用用于通过无线通信网络来传送来自移动通信设备的紧急类型短消息的说明性技术包括以下行为：接收短消息，所述短消息具有目的地址域中目的地址、与归属消息中心相对应的消息中心地址域中的消息中心地址和用来指示是否短消息是紧急消息的指示符域中的指示符；在指示符指示短消息是非紧急消息时使短消息被传送到基于消息中心地址的归属消息中心；以及在指示符指示短消息是紧急消息时使短消息被传送到不同于归属消息中心的紧急消息中心。  In a further embodiment, used by a network node (e.g., a mobile switching center or a serving GPRS switching node) for illustrative techniques to transmit the emergency-type short message from the mobile communication device through a wireless communication network comprising the acts of: receiving a short message, the short message destination address having a destination address field, if the message center address corresponding to the home message center and the message center address field of the short message and an indicator to indicate an urgent message indicator field ; of the short message when the indicator indicates a non-emergency message is transmitted to short message based on the message center address of the home message center; and an emergency indication message is an indicator of the short message is an emergency message transmitted to the message center different from the home Message Center. 本发明的优选实施例以说明并描述，但要理解本发明不局限于此。  Preferred embodiments of the present invention to illustrate and describe embodiments, it is to be understood that the present invention is not limited thereto. 本领域技术人员会考虑到许多修改、变化、变更、替换和等价物，同时不背离所附权利要求所限定的本发明的精神和范围。 Those skilled in the art will take into account many modifications, variations, alterations, substitutions and equivalents, without departing from the spirit and scope of the invention as defined by the appended claims. 1. 一种由移动通信设备使用用于通过无线通信网络来传送紧急类型短消息的方法，所述方法包括以下步骤：提供由移动通信设备访问的存储器用于存储与归属消息中心相关联的第一消息中心地址和与紧急消息中心相关联的第二消息中心地址；通过所述移动通信设备的用户接口来接收用于传送短消息的用户输入请求；如果通过所述用户接口接收的所述用户输入请求被所述移动通信设备识别为用于紧急消息，则所述移动通信设备执行以下步骤：从所述存储器读取所述第二消息中心地址，并在所述短消息的消息中心地址域中提供所述第二消息中心地址；以及使在所述消息中心地址域中具有所述第二消息中心地址的短消息通过所述无线通信网络被发送，以便传送至所述紧急消息中心。 1. A method for use by a mobile communication device to transmit a short message of the emergency type via a wireless communication network, the method comprising the steps of: providing a first store with a home message center from the associated memory of the mobile communication device for access and a message center address associated with an emergency message center a second message center address; user inputs a request through the user interface of the mobile communication device to receive a short message transmitted; if the user interface is received through the user input request is identified by the mobile communication device being for an emergency message, perform the following steps if the mobile communication device: reading the second message center address from the memory, and the message center address field of the short message in providing the second message center address; and causing the short message having the second message center address in the message center address field to be transmitted via the wireless communication network, for transmission to the emergency message center. 2.根据权利要求1所述的方法，进一步包括：如果通过所述用户接口接收的所述用户输入请求被所述移动通信设备识别为用于非紧急消息，则所述移动通信设备执行以下步骤：从所述存储器读取所述第一消息中心地址，并在所述短消息的消息中心地址域中提供所述第一消息中心地址；以及使在所述消息中心地址域中具有所述第一消息中心地址的短消息通过所述无线通信网络被发送，以便传送至所述归属消息中心。 2. The method according to claim 1, further comprising: if the user input request received through the user interface identified by the mobile communication device for non-emergency message, the mobile communication device performs the steps of : the memory reading the first message center address, and providing the first message center address in a message center address field of the short message from; and having the second message center address field of the the short message center address in a message is transmitted via the wireless communication network, for transmission to the home message center. 3.根据权利要求1所述的方法，其中提供由移动通信设备访问的所述存储器用于存储所述第一消息中心地址和所述第二消息中心地址的步骤包括：在所述移动通信设备中提供可移除存储器模块。 3. The method according to claim 1, wherein the step of providing the first message center address is stored and the second message center address from the memory of the mobile communication device for accessing comprises: the mobile communication device removable memory module is provided. 4.根据权利要求1所述的方法，进一步包括：通过所述无线通信网络的广播信道来接收所述第二消息中心地址。 4. The method according to claim 1, further comprising: receiving the second message center address over the wireless communication network, a broadcast channel. 5.根据权利要求1所述的方法，进一步包括：通过所述无线通信网络的广播信道来接收所述第二消息中心地址；以及在包括可移除存储器模块的存储器中存储通过广播信道接收的第二消息中心地址。 5. The method according to claim 1, further comprising: receiving through the wireless communication network is a broadcast channel of the second message center address; and storing the received broadcast channel includes a memory in the removable memory module in the The second message center address. 6.根据权利要求1所述的方法，进一步包括：通过无线通信网络的广播信道来接收所述第二消息中心地址；在所述存储器中存储与所述无线通信网络的无线网络标识相关联的所述紧急消息中心地址。 6. The method according to claim 1, further comprising: receiving the second message center address over a broadcast channel of a wireless communication network; stored in the memory in the wireless communication network with a wireless network identification associated the emergency message center address. 7.根据权利要求1所述的方法，进一步包括：每次所述移动通信设备与多个无线通信网络中的一个新无线通信网络进行操作时：通过无线通信网络的广播信道来接收所述第二消息中心地址；以及在所述存储器中存储与所述无线通信网络的无线网络标识相关联的所述第二消息中心地址。 7. The method according to claim 1, further comprising: each of said mobile communication device operates with a new wireless communication network a plurality of wireless communication network: receiving a second broadcast channel via the wireless communication network second message center address; and the wireless network identifier stored in the wireless communication network associated with the second message center address in the memory. 8.根据权利要求1所述的方法，进一步包括：由所述移动通信设备通过以下步骤来识别所述用户输入请求是否用于所述紧急消息：将消息目的地与预定消息目的地列表进行比较；如果所述消息目的地与所述列表的预定消息目的地匹配，则识别出所述用户输入请求是用于所述紧急消息的；以及如果所述消息目的地与所述列表的所有预定消息目的地不匹配，则识别出所述短消息是非紧急消息。 8. The method according to claim 1, further comprising: identifying by the mobile communication device through the steps of the user input request is for the emergency message: the message destination with a predetermined message destination list ; if the message destination matches a predefined message destination of the list, identifying that the user input request is for the emergency message; and all predetermined message and if the message destination of the list does not match the destination, the short message is identified a non-emergency message. 9.根据权利要求1所述的方法，进一步包括：由所述移动通信设备通过识别是否选择所述用户接口中提供的紧急功能，来识别所述用户输入请求是否用于所述紧急消息。 9. The method according to claim 1, further comprising: by the mobile communication device if the emergency function selection interface provides the user identification, identifying the user input request is for the emergency message. 10.根据权利要求1所述的方法，进一步包括：通过所述无线网络来接收在所述消息中心地址域中具有第二消息中心地址的短消息；以及在所述短消息中提供与所述紧急消息中心相对应的紧急消息中心地址，用于将所述短消息路由到所述紧急消息中心。 10. The method according to claim 1, further comprising: receiving a short message having the second message center address in the message center address field over the wireless network; and providing in said short message the emergency message center corresponding to the emergency message center address, for routing the short message to the emergency message center. 11. 一种移动通信设备，包括：一个或更多个处理器；耦合到所述一个或更多个处理器、并适于与无线通信网络进行通信的无线收发机；耦合到所述一个或更多个处理器的用户接口；所述一个或更多个处理器操作用于：与存储器进行通信，所述存储器由所述移动通信设备访问并对与归属消息中心相关联的第一消息中心地址和与紧急消息中心相关联的第二消息中心地址进行存储；通过所述用户接口来接收用于传送短消息的用户输入请求；如果通过所述用户接口接收的所述用户输入请求被所述一个或更多个处理器识别为用于紧急消息，则：由所述一个或更多个处理器从所述存储器读取所述第二消息中心地址，并由所述一个或更多个处理器在所述短消息的消息中心地址域中提供所述第二消息中心地址；以及使在所述消息中心地址域中具有所述第二消息中心 11. A mobile communication device, comprising: one or more processors; coupled to the one or more processors and a wireless transceiver adapted to communicate with a wireless communication network; coupled to the one or a user interface more processors; the one or more processors operable to: communicate a first message center, the memory access by the mobile communication device with a home message center and associated with the memory the second message center address and an address associated with an emergency message center are stored; through the user interface to receive user input request for communicating a short message; if the user input received via the user interface request is of the identifying the one or more processors for an emergency message, then: reading by the one or more processors from the memory of the second message center address by said one or more processing provide the second message center address in a message center address field of the short message; and having the second message center address field in the message center 地址的短消息通过所述无线收发机被发送至所述无线通信网络，以便传送至所述紧急消息中心。 Address of the short message through the wireless transceiver is transmitted to the wireless communication network, for transmission to the emergency message center. 12.根据权利要求11所述的移动通信设备，其中所述一个或更多个处理器进一步操作用于：如果通过所述用户接口接收的所述用户输入请求被所述一个或更多个处理器识别为用于非紧急消息，则：由所述一个或更多个处理器从所述存储器读取所述第一消息中心地址，并由所述一个或更多个处理器在所述短消息的消息中心地址域中提供所述第一消息中心地址；以及使在所述消息中心地址域中具有所述第一消息中心地址的短消息通过所述无线收发机被发送，以便传送至所述归属消息中心。 12. The mobile communication device of claim 11, wherein the one or more processors are further operative to: if the user input request received through the user interface by the one or more processing identifies for non-emergency message, then: reading by the one or more processors from the memory of the first message center address by said one or more processors in the short providing a message center address field of the first message center address message; and causing the short message with the first message center address in the message center address field to be transmitted via the wireless transceiver for transmission to the said home message center. 13.根据权利要求11所述的移动通信设备，其中所述存储器包括所述移动通信设备中的可移除存储器模块。 13. The mobile communication device of claim 11, wherein said memory comprises a mobile communication device in the removable memory module. 14.根据权利要求11所述的移动通信设备，其中所述一个或更多个处理器进一步操作用于：经由所述无线收发机、通过所述无线通信网络的广播信道来接收所述第二消息中心地址。 14. The mobile communication device of claim 11, wherein the one or more processors are further operative to: via the wireless transceiver to the wireless communication network is received through a broadcast channel of the second message center address. 15.根据权利要求11所述的移动通信设备，其中所述一个或更多个处理器进一步操作用于：由所述一个或更多个处理器经由所述无线收发机、通过所述无线通信网络的广播信道来接收所述第二消息中心地址；以及由所述一个或更多个处理器在包括可移除存储器模块的存储器中存储通过广播信道接收的第二消息中心地址。 15. The mobile communication device of claim 11, wherein the one or more processors are further operative to: by the one or more processors via the wireless transceiver through the wireless communication a broadcast network channel to receive the second message center address; and a second message center address by the one or more processors in a received removable memory module comprises a memory storing a broadcast channel. 16.根据权利要求11所述的移动通信设备，其中所述一个或更多个处理器进一步操作用于：由所述一个或更多个处理器经由所述无线收发机、通过所述无线通信网络的广播信道来接收所述第二消息中心地址；由所述一个或更多个处理器在所述存储器中存储与所述无线通信网络的无线网络标识相关联的所述紧急消息中心地址。 16. The mobile communication device of claim 11, wherein the one or more processors are further operative to: by the one or more processors via the wireless transceiver through the wireless communication a broadcast network channel to receive the second message center address; by the one or more processors and the wireless network identifier stored in the wireless communication network associated with an emergency message center address in the memory. 17.根据权利要求11所述的移动通信设备，其中所述一个或更多个处理器进一步操作用于：每次所述移动通信设备与多个无线通信网络中的一个新无线通信网络进行操作时：由所述一个或更多个处理器经由所述无线收发机、通过无线通信网络的广播信道来接收所述第二消息中心地址；以及由所述一个或更多个处理器在所述存储器中存储与所述无线通信网络的无线网络标识相关联的所述第二消息中心地址。 17. The mobile communication device of claim 11, wherein the one or more processors are further operative to: each of said mobile communication device operates with a new wireless communication network a plurality of wireless communication networks when: by the one or more processors via the wireless transceiver, to receive the second message center address over a broadcast channel of the wireless communication network; and by the one or more processors in the wireless network identification in the memory storage associated with the wireless communication network the second message center address. 18.根据权利要求11所述的移动通信设备，其中所述一个或更多个处理器进一步操作用于：通过以下步骤来识别通过所述用户接口接收的所述用户输入请求是否用于所述紧急消息：将消息目的地与预定消息目的地列表进行比较；如果所述消息目的地与所述列表的预定消息目的地匹配，则识别出所述用户输入请求是用于所述紧急消息的；以及如果所述消息目的地与所述列表的所有预定消息目的地不匹配，则识别出所述短消息是用于非紧急消息的。 18. The mobile communication device as claimed in claim 11, wherein the one or more processors are further operative to: the step of identifying by the user input request received through the user interface is for the emergency message: the message destination with a predetermined destination list message; if the message destination with a predefined message destination of the list of matching, identifying that the user input request is for the emergency message; and if the message does not match the destination and a list of all predefined message destinations, it is recognized that the short message is a non-emergency message. 19.根据权利要求11所述的移动通信设备，其中所述一个或更多个处理器进一步操作用于：通过识别是否选择所述用户接口中提供的紧急功能，来识别通过所述用户接口接收的所述用户输入请求是否用于所述紧急消息。 19. The mobile communication device as claimed in claim 11, wherein the one or more processors are further operative to: selecting whether an emergency function provided in the user interface by identifying, identifying received through the user interface the user input request is for the emergency message. 20.根据权利要求11所述的移动通信设备，其中所述一个或更多个处理器进一步操作用于：通过所述无线通信网络来接收在所述消息中心地址域中具有第二消息中心地址的短消息；以及在所述短消息中提供与所述紧急消息中心相对应的紧急消息中心地址，用于将所述短消息路由到所述紧急消息中心。 20. The mobile communication device of claim 11, wherein the one or more processors are further operative to: receiving a second message center address in the message center address field through the wireless communication network the short message; short message and providing said message with the emergency center corresponding to the emergency message center address, for routing the short message to the emergency message center. ES2295830T3 (en) 2008-04-16 Methods and apparatus for selection of networks Prioritizing the home network after recovery of the network signal or ignition.